Everything is a bundle of 50+ Best Premium Magento 1.9 Themes and Multipurpose Magento 2 Themes. Designed & developed by Top Elite Author. New update on 2016. 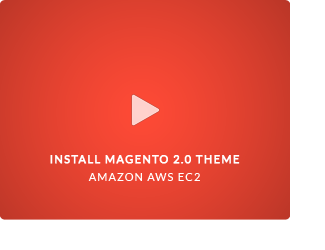 We have some resources here to help get you started using the eCommerce platform of the future - Magento 2. Magento 2.0, 2.0.1,2.0.2,2.0.3,2.0.4,2.0.5,2.0.6,2.0.7,2.1.2 will be supported. Work in progress. EVERYTHING MAGENTO 2.1.4 is READY ! Add xml file for megamenu and layernavigation module for magento 1.9. Update Everything package to fix the install issue. Version 2.1.3 for Magento 2 Ready! 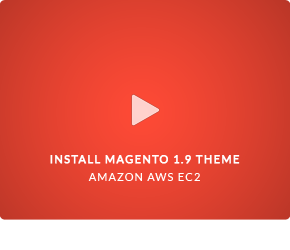 Version 1.9.3.1 for Magento 1.9 Ready! MegaMenu For Magento 2.0 Ready! We have update new patch to fix : "Third-Party Themes and Extensions Are at Risk We recently learned that an SQL injection vulnerability has been found in several third-party themes and extensions. Extensions with the vulnerability include: - EM (Extreme Magento) Ajaxcart - EM (Extreme Magento) Quickshop "
Magento 1.9 Update new features! * Build: Version r_255 - em0131-update-package_M1.9.2.2_r255.zip.